Lakas Cayabyab Dapiaoen, a South Shore K-8 kindergartner, is high-fived on his way to school by Fire Chief Scoggins. 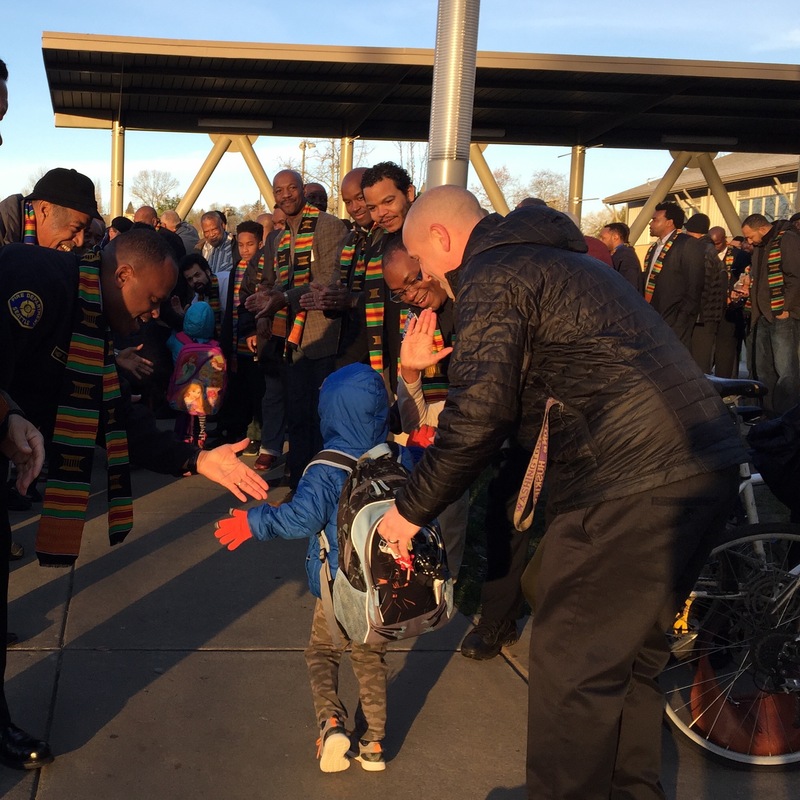 This morning at South Shore K-8 200 men of African descent welcomed and “high-fived” students as they entered the school for National African-American Parent Involvement Day. A wonderful way to start a school day and to show support to students and educators of color. Thank you to the organizers and all who showed up.